By 2015, the number of mobile users that will opt-in to receive retail business communications is projected to increase to 35.3 million. Unfortunately, many businesses are not capturing mobile users in opt-in loyalty list, and to some it is only an afterthought. While building a mobile opt-in loyalty list, it is important to remember that your business is marketing to a person and not just a mobile number – it is about building trust. Offering mobile SMS promotions gains their trust with personal offers that give you insights into what your mobile audience truly wants to receive. Of all the mobile marketing campaigns available to a business, SMS marketing has proved to be one of the most invaluable tools. The open, read, and engagement rates are even better than email, and with the low price of use, SMS provides marketers with an excellent cost-effective mobile promotions solution to grow their mobile opt-in list, and to convert that audience to customers. According to an Internet Trends Report, mobile as a part of the marketing ad spend mix, currently accounts for only 3% of marketer’s ad spend, but it’s expected to hit $42 billion in 2017, overtaking radio ad spend. The perceived and actual complexities and risks of mobile have made marketers slow to act. 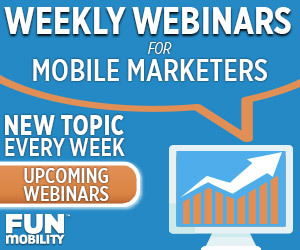 However, there are bold marketers out there who are reaping the benefits of mobile marketing with a head start on the competition and growing their mobile SMS opt-in list. Recently, Brentwood Ace Hardware ran a mobile promotion marketing campaign using Timed Coupons, one of many engaging mobile promotions available to FunMobility clients. 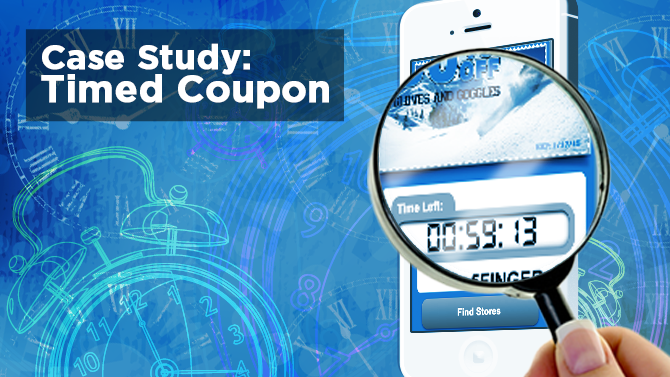 Having already grown a substantial SMS opt-in database, they utilized mobile timed coupons to offer special promotion with an integrated mobile store locator to drive users to the Brentwood, California location. They sent these at 4pm, good through the following day, and then once accepted, these coupons were good for a 12 hour period. How did this compare to an average store visit? The average visitor cart size, prior to a mobile promotion campaign was about $19. During the promotion, cart size per visitor jumped to $93 per visitor that redeemed the mobile coupon, and even after the promotion, a re-marketing effort showed a remarkable $45 per visit. Mobile marketing & promotions through SMS campaigns offers an easy way to create and deliver personalized promotions to your opt-in audience. We’ve learned that consumers want to receive mobile optimized coupons and promotional offers direct to their mobile device. It’s up to businesses to bridge the gap between customer preference and marketing priorities.